The Otago Boys Highschool Grandstand was built in 1961 and was designed by McAllum & Black. The Grandstand seated 600 and included a cafeteria, changing rooms and shower/ toilet facilities below, but it had no roof. In 1960 the school was given a £30,000 centenary gift to put a roof on the grandstand. Still needing to raise a further £6000, an oil painting by Peter McIntyre depicting the old school buildings was raffled off to help raise the funds. The roof was finally completed in 1964/1965. 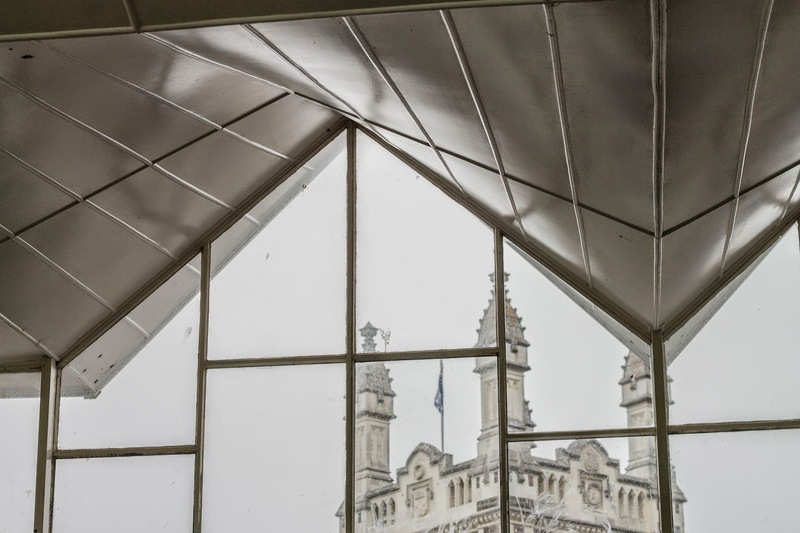 Once the roof was completed it was a very unique looking roof due to the fact they hadn't used classic traditional forms, but instead they added sharp pitches to the design. 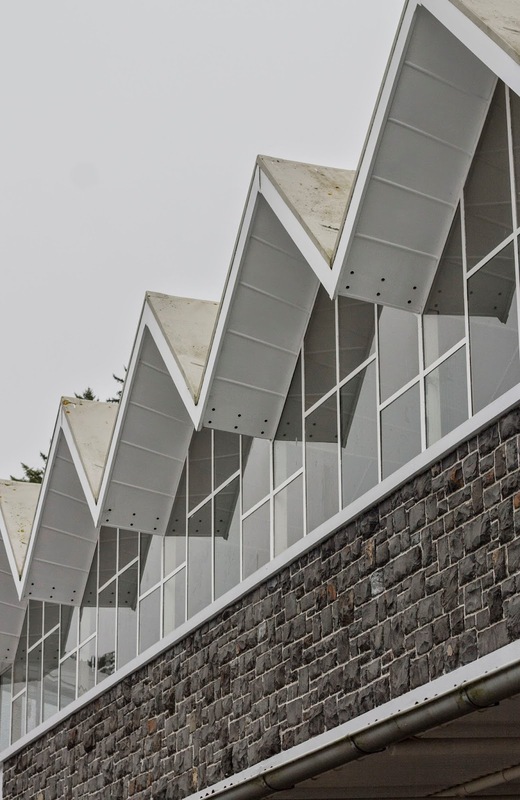 The sharp points of the historical buildings of Otago Boys High School influenced the shape of the grandstand making the grandstand a very eye catching feature of the school. What caught my eye was how the structure of the roof didn’t use classical traditions and forms of a flat roof but instead was made up with 10 sharp pitches making the Grandstand still look modern today. The modern look of the grandstand is in sharp contrast to the old historic buildings that surround it.